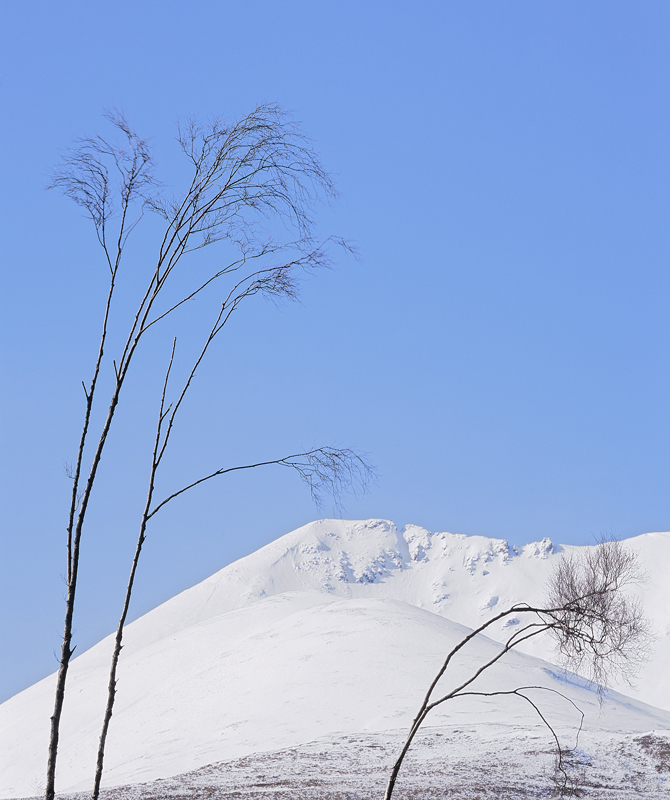 These amazingly delicate birch trees are in the shadow of a snow capped Beinn Eighe. They are very carefully positioned such that one of them curves over the mountain and the other rests neatly within its envelope. A sort of delicate and slightly annoying inbalance that for some reason works with a simple if unorthodox beauty.